Download Unrar software s60v5 - Media tools for mobile. Get "Unrar software s60v5" at your mobile phone. 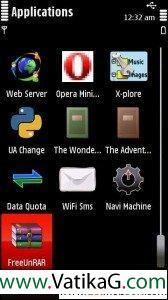 Description : free unrar v1.01 is a rar file manager for nokia 5800. free unrar v1.01 is a symbian application which works successfully on nokia 5800.